LARGE INVENTORY – LARGE SELECTION OF INFINITI MODELS IN ILLINOIS. Highest Rated – Highest Tier Rating in Online Reviews. We are consistently the top rated INFINITI Dealer in Illinois and have an excellent reputation on trusted review sites like Google, Cars.com, and DealerRater. We rank in the top tier for auto dealerships in Illinois, which assures that you will have the best experience at INFINITI of Clarendon Hills. We Give Back – A Total Ownership Experience Like No Other. Our programs were designed to provide a higher level of service for customers that have recently purchased an INFINITI from us. This includes invitations to Launch Parties, Sweepstakes, and Complimentary Gifts. These programs are just one small way of saying… Thank You! 167-point INFINITI of Clarendon Hills Certified Pre-Owned Inspection. Once we purchase a vehicle, our ASE Certified INFINITI Master Technicians complete our inspection process. Each vehicle receives an INFINITI Certified 167-point inspection and the INFINITI of Clarendon Hills cosmetic inspection. Then every 14 days we complete our “Ride-and-Drive Inspection” to ensure each vehicle is ready for sale. Superior Parts Department – Wide Parts Selection & 30 Years of Collective Experience. We assure that parts for INFINITI Express Services are always in stock and our INFINITI Certified Parts Consultants monitor supplies accurately. Our parts department can also help you choose the perfect match from a wide selection of Genuine Accessories. Our customers just present their Keys and First & Last Name to our receptionist for a complete exterior car wash. Exterior surfaces, windows, wheels and tires will be cleaned for you while you wait. Washes are subject to weather conditions and are available between 10AM and 8PM. Our car wash uses a water reclamation system that may prevent operation in temperatures below freezing. Complimentary Pickup & Delivery Valet Service. INFINITI of Clarendon Hills “Valet Service” is an exclusive service for those with no time to spare. 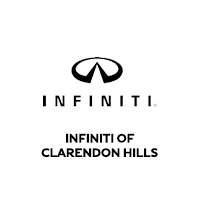 We’ll come to your work or home (within our 10 mile valet area), pick up your car, leave you a COURTESY INFINITI Service Loaner, and bring your vehicle back when it’s done… and it’s complimentary for customers who purchased or leased their INFINITI from INFINITI of Clarendon Hills. Simply make an appointment and we can schedule a complimentary service loaner. Our Free Service Loaner policy does not include fuel and is available to those who are 21 or older and have a license and proof of insurance. Express Service – Popular Services Completed in 60 minutes or Less. Services such as Oil & Filter Changes, Tire Rotations, Air & Cabin Filter Replacements, and Battery Diagnostics can all be done in 60 minutes or less.